This image from homemadeguns.wordpress.com appears to be from a Portugese police agency. 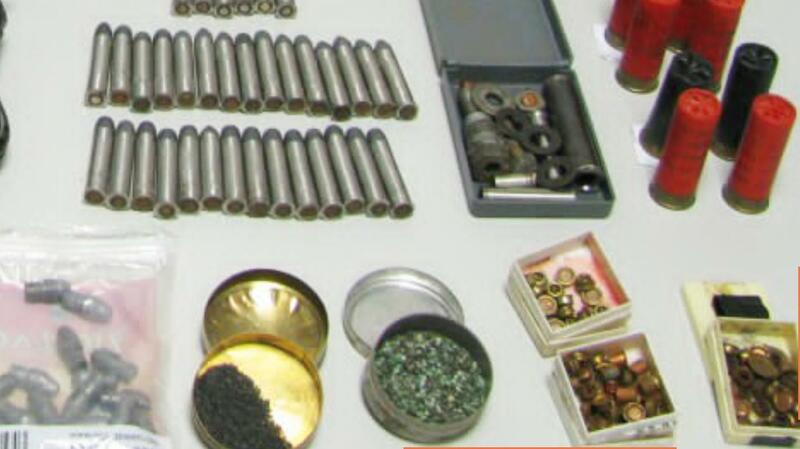 Shotgun shells are often used for the clandestine manufacture of pistol ammunition. It many countries it is much easier to obtain shotgun shells than pistol or rifle ammunition. In countries where severe restrictions on the private ownership of firearms have been imposed, shotguns are the least restricted. In the extremely restrictive Soviet Union, shotgun cartridges were relatively available. In England, the easiest firearm license to obtain is the shotgun license, as it is in Japan. With a source of shotgun cartridges, you have everything you need to make pistol cartridges. You have lead, from which bullets may be cast. You have shotgun powder, which makes a good pistol gunpowder. And you have shotgun primers, which can work for pistol primers. In this case, the ingenious person who desired free market firearms, made a homemade double barrel shotgun. It is a fairly simple, yet extremely effective firearm. Improvised shotguns may be the most common homemade gun around the world. If you can obtain shotgun shells, a single or double barrelled shotgun is an obvious first choice. But this budding Portugese Colt went much further. Desiring a reliable, multi shot, easily concealed and portable firearm, they built their own six shot revolver and unique, homemade cartridges. From the picture, the cartridges use shotgun primers, shotgun powder, and homemade cases and bullets. On the lower right, you can see the salvaged shotgun primers used in the homemade pistol cartridges. The left circular tin appears to hold gunpowder. The bullets, in the plastic bag, are of the "heeled" design, which is what early revolvers used, to simplify the construction of the cylinder. The chambers for "heeled" bullets are simple bored through, without a step to take into account the thickness of the case. Caliber appears to be approximately .38/9mm. The case seems a little longer than a .357 magnum. I suspect energy levels and velocities on the order of a .38 special. I do not know if the barrel is rifled or not. As no sights are shown, it is likely smooth bored, but the person who put this together showed enough technical ability that they could have rifled the barrel. The box to the left of the shotgun shells looks like a homemade reloading kit. The shotgun shells seem to be typical 70mm or 2 3/4" 12 gauge. The guns will first go to the recruits, who will learn on the new Glocks right from the get-go, Shopay said. More experienced officers will get them as the old guns continue to wear down and get phased out. County Purchasing Agent Jeffrey Dansdill made sure there were several places to buy the guns from, rather than having to go with a sole-source contract. Instead, the gun purchase can go out to bid. “Are there multiple vendors we can purchase from?” he asked. He was told there are three West Coast mainland sources for the handguns, all who offer rebates. Unlike the Honolulu Police Department, the Hawaii County department plans to turn in the old Smith & Wessons to the dealer for a rebate. That should earn about $90,000, Shopay said. The Honolulu Police Department incurred public criticism last year when it opted to destroy more than 2,300 guns, potentially losing $500,000, according to Hawaii News Now. By putting the used pistols back into the market place, the demand for new guns will be reduced, thus putting money that would have gone to gun manufacturers into the pockets of Hawaii taxpayers. There is no shortage of pistol manufacturers. If guns are sold to police or gun dealers, they will be directly competing with other pistols, in exactly the same legal channels as newly manufactured guns. The pistols that are used for parts will make old guns more competitive with new guns, performing the same function. In a time when public resources are limited, conserving them is simply common sense. Wasting them is foolish. The Hawaii Police Department deserves credit for using public resources wisely. 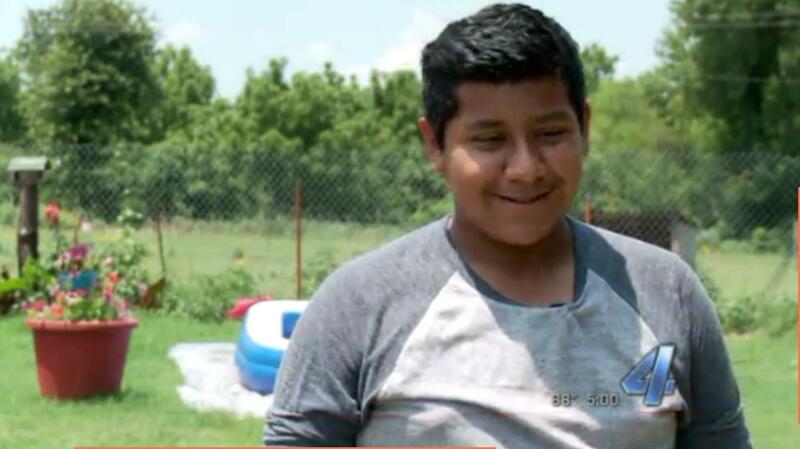 During the incident, Little also became involved in an argument with his landlord. Little is accused of attacking him with a sledge hammer. The landlord then shot Little with a handgun. Little was flown to Bristol Regional Medical Center where he remains in serious condition. Police said a preliminary investigation showed that the man apparently broke into the home, where his ex-girlfriend lived, through a window and that her new boyfriend caught him and shot him. Two children were home at the time, police said, but no other injuries were reported in the incident. Lamotte said Scelza saw the fight and tried to break up the dogs, but wasn’t strong enough. “He had the pit bull in his arms and was punching and kicking the pit bull,” she said. That’s when Lamotte began gathering her daughter and dog to head for their car. They only made it a few feet before they heard gunshots, she said. Detectives with the Yavapai County Sheriff's Office are trying to determine if the shooting death of a Village of Oak Creek man at the hands of his stepfather might have been self-defense. A second man was shot, as well, but he survived his injury. It was an 82-year-old man who shot and wounded an intruder early Sunday morning after he said the intruder broke into his screened-in porch and “was kicking in my entrance door,” police records show. Claude Carmical said he told the intruder several times to get out, turned on the porch light and even showed the man his .38-caliber pistol, according to the records. He aimed the gun at the man’s left shoulder. Hours after the fatal shooting and attempted robbery, Brown was found still in the apartment complex. Deputies say they followed a blood trail and found Brown with a gunshot wound to the chest. PORTLAND, Ore. -- A mother who returned to her Portland home with her two children early Sunday morning shot and killed an intruder who was inside. A drug deal was going down in a WalMart parking lot. Some of the participants were not happy with the deal. They could not use the criminal justice system, so they used guns. Shots were exchanged between occupants of two cars in the lot. The WalMart parking lot was not in New York or New Jersey. 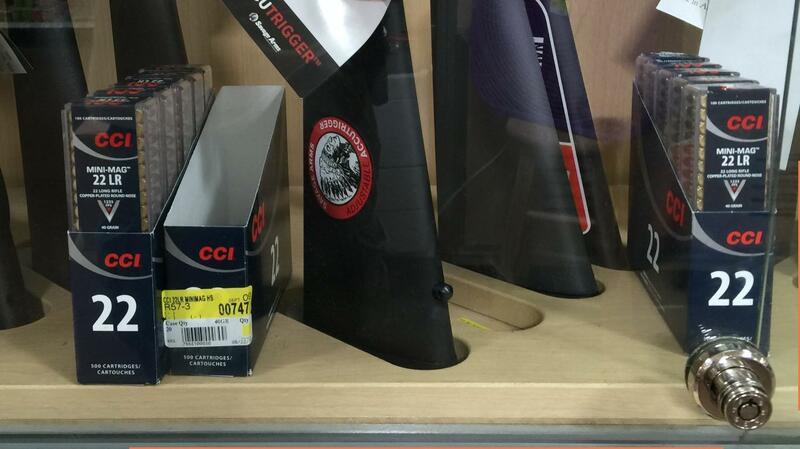 This WalMart was in Augusta, Maine, and in Maine, responsible and honest people can legally carry guns. Two honest and responsible gun carriers stopped the shooting. Samantha Tupper is the blond local woman from Augusta, ME. She is charged with a probation violation. AUGUSTA, Maine (NEWS CENTER) -- Augusta Police say two bystanders, legally armed with handguns, stepped in during a shooting incident at a Walmart in Augusta. Police say four suspects were taken into custody by police Sunday after allegedly firing gunshots in the parking lot of a Walmart. The suspects involved were sitting in vehicles parked next to each other when the altercation arose. The occupants of one vehicle fired at the occupants of the other, which resulted in return gunfire. 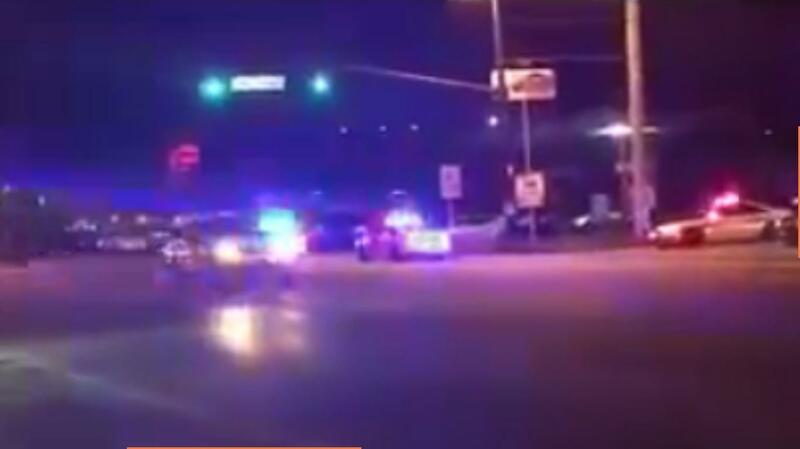 When the shooting stopped, police said one suspect exited their vehicle to confront the occupants of the other. This is when two bystanders, who were legally carrying, interfered and stopped the incident, police said. “Two vehicles that had appeared were parked next to each other. The occupants inside exchanged gunfire and then there was an altercation after that between the occupants in the parking lot,” said Lt. Christopher Massey with Augusta PD. During the altercation, customer Daniel Chavanne, who was about to leave with his wife and kids, took matters into his own hands. We’re told Chavanne, a licensed concealed carrier, drew his firearm and diffused the situation. Then another armed shopper came to Chavanne’s aid. “If they hadn’t stepped in, somebody would have been hurt, severely hurt. You know one of my kids could have got shot,” said Chavanne’s wife, Carrie. "The way the fight was going, I have no doubt if myself and the other person didn't intervene there would have been at least one body there," Dan Chavanne said. Dan says he's open carried since he was 18, because of situations like this. "If you've got the background, the experience and the training there's no reason not to carry," Dan Chavanne said. The Chavannes said that the criminals were really bad shots. Chavvane's personal defensive handgun was a subcompact Glock, likely a Model 43 or 42. The other good Samaritan did not have their name released. There is no mention of whether or not they had a concealed carry permit. Maine became a permitless or "Constitutional" carry state in October of 2015. This makes the likelihood of an honest, responsible person legally carrying a defensive firearm much higher. That makes Maine more dangerous for criminals. It is a reality that the suspected heroin dealers learned to their discomfort. It may have saved one or more of their lives. We know that it took about six minutes for police to mount an effective armed response to the Orlando Islamic murderer. The off duty officer/armed door security had been factored in by the jihadi, and had been driven off or otherwise neutralized outside the bar at the beginning of the incident. The Jihadi was a trained security professional. There is growing criticism of the responding officers' actions. It is easy to make heroic decisions after the fact, when weeks have passed and we have a better idea of what happened. Officers arriving at the scene did not have that information. Responding officers almost always face numerous profound difficulties. Consider what the officers do not know when they arrive on the scene of an active shooter. They do not know how many shooters they may be facing. They do not know how many have been killed or wounded. They do not know the motivation of the shooter. They do not know the location of the shooter. After the fact, hours or weeks or months later, we know all those things, or have a pretty good idea about them. Officers responding in the first few minutes do not. In the Orlando case, officers arrived very quickly, in about 2 minutes. They formed up, broke a window, and entered the Pulse four minutes after that. Shooting was still going on. They searched the main dance floor and secured it. There were lots of bodies and people down. It was pretty dark. They determined that the murderer was in the bathroom area. The shooting stopped. This was before there was any communication with the murderer. 2:02am - Sunday, June 12 - Suspect Omar Mateen tries to enter Pulse nightclub armed with assault rifle and and handgun and is spotted by a security guard. The two exchange fire outside the club - but Mateen manages to enter the nightclub, holding 320 people, while still firing. First 911 call received by Orlando Police Department. 2:04am - First police officers, including Brandon Cornwell, arrive at the scene. 2:08am - FBI says officers entered the club and 'engaged' the shooter. 2:09am - Pulse nightclub posts a message to their Facebook desperately telling those inside 'Everyone get out of pulse and keep running'. 2:35am - Mateen calls 911 and pledges allegiance to ISIS and Abu Bakr al-Baghdadi. The officers contacted their superiors. They were told to wait for SWAT. They had isolated the shooter and had contained the situation. They did not know if the shooter was alive or dead. They did not know if there were victims in the bathrooms or not. They did not know if there were hostages. They did not know if the murderer had booby trapped the bathrooms. It is easy for people to say they would have pushed on into the bathrooms and confronted and stopped the murderer. It is easy for people to say things like that when they were not there, in the confusion, uncertainty and terror of the moment. We see, again and again, the difficulty of relying on a police response to stop these sort of events. In Orlando, the police responded very quickly. But there was no effective armed response for six minutes. Most of the casualties probably happened in those first minutes. What was needed was someone inside the situation. Someone who could respond quicker. 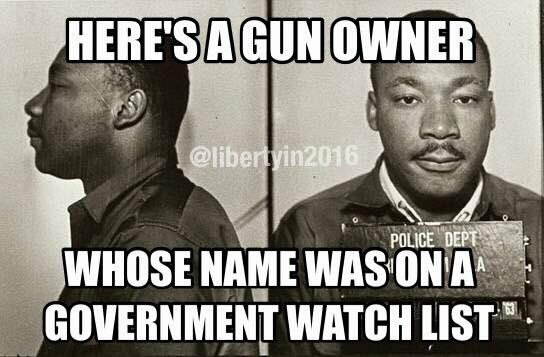 Someone who was armed. Many people had time to access their cell phones and contact people outside. It may take seconds for a person in the situation to determine what is happening. It usually takes less than a minute. A defensive gun is easier to access and operate than a cell phone. The murderers who plan these attacks go to considerable trouble to insure that their victims are unarmed. When there is an armed person inside the event, the body count seldom reaches the levels to be counted as a mass killing. The New Life Church shooting has a number of similarities to the Orlando shooting. The shooting started outside, as it did in Orlando. The shooter was armed with a rifle and pistol, as was the Orlando murderer. He had already started shooting at people, as had the Orlando killer. Both events were religiously motivated. There were numerous unarmed people inside the church, as there were in the Orlando Pulse. But the church had people with concealed carry permits inside, acting as volunteer security. One of them was Jeanne Assam. She ran toward the gunman and shot him, stopping the killing very early. Yes, Jeanne Assam had training. She was not an "ordinary citizen". But people who go to the trouble to legally carry firearms for defense of self and others are generally not "ordinary citizens". They are more responsible and more trained. They are less likely to commit crimes than police officers. An armed potential victim means a much reduced body count. It means that a mass murderer's chance of failure is much higher. Armed victims can and have stopped mass shooting attacks. But most mass killing attacks are planned to happen where there are unarmed victims. In 1999, there was an attempted mass killing at a gun shop in Santa Clara California. The attempted murderer chose poorly. He was shot by a gun shop employee who was carrying a .45 caliber pistol concealed on his person. The would be mass murderer was the only person shot. A list of other people he intended to kill was found in his vehicle. Unarmed victims can and have stopped armed killers, but they have a more difficult task. The Pulse club did not have any armed people inside the Club. They did not have any volunteer security. The primary purpose of the paid armed security was to insure that people entering the club paid, and were unarmed. The paid security accomplished the assigned duties, until confronted with a planned attack and a determined attacker. "Gun Free Zones" are disarmed victim zones. The Pulse club became a trap for the hundred that were shot and killed. Only a small number of people are willing to accept the responsibility of legally carrying firearms for defense of self and others. Those numbers seldom reach as high as 10% of eligible adults. That 10% can be critical in defending the other 90%. Police are only three tenths of one percent of the population. The 10% that are willing and capable of legally carrying weapons provide a rapid response before the police arrive. It already happens fairly frequently, whether it be a home invasion, car jacking, or attempted mass homicide. In Florida the current number is 1,488,028 permit holders, about 9% and growing. Legal gun carriers already stop illegal killings, they could do much more if the political class would allow them to do so. ALBUQUERQUE, N.M. (KRQE) – An Albuquerque father who shot his daughter’s ex-boyfriend in the leg Thursday will not be charged in the incident. Police responded to a call about the shooting in northeast Albuquerque early Thursday morning. Officers say when they arrived on scene they they found 40-year-old Lee Brandenburg suffering from several gunshot wounds to his legs. The shooting victim got into an argument with the mother of his child and police said he pushed her down. They also said he caused damage to the home. The homeowner who is woman’s 74-yer-old grandmother asked him to leave. We’re told Thomas left and came back to the house with a knife. The grandmother shot him. PEORIA, Ariz. - Police are searching for two masked men who walked into a smoke shop in an attempted robbery and had a shootout with the owner. It happened at Gifts and Cigars Smoke Shop on 91st Avenue and Union Hills Drive in Peoria about 5:30 p.m. Wednesday, according to the Peoria Police Department. At least one of the two men walked in his his gun already drawn. Several bullets were exchanged between them and the owner. I expect that the SB 656 will follow the path of its predecessor of 2014. In that year, another omnibus gun law reform bill was passed with overwhelming margins in the Missouri House and Senate. Governor Nixon vetoed it. The number of that bill was SB 656. This year the bill number, SB 656, may be a not so subtle message to Governor Nixon. In 2014, the legislature passed an omnibus gun reform bill, also titled SB 656. It also had 111 yea votes in the House, but only 21 yea votes in the Senate. It also passed the legislature on the last day of the session. Governor Nixon vetoed the 2014 SB 656 on July 14, 2014. On September 11, 2014, the Missouri House joined the Missouri Senate in overriding Governor Nixon's veto. There are better than even odds that Missouri will be joining the permitless or "Constitutional" carry club this year. Enactment of SB 656 will increase the "Constitutional" carry club to 11, including three other states, Idaho, Mississippi and West Virginia that have passed similar legislation in 2016. The other "Constitutional" carry states are Alaska, Arizona, Arkansas, Kansas, Maine, Vermont, and Wyoming. Details are emerging about the Orlando Pulse Massacre. It is clear that some of the first impressions were false. First, there does not appear to have been any initial exchange of fire inside of the club. Officers did not fire at the murderer, or he at them, until the last few minutes, three hours later, when SWAT officer broke into the bathrooms through a wall. There was an initial exchange of gunfire, but it was outside of the club. The off duty police officer/security officer quickly disengaged as the murderer entered the club while firing. It is precisely the scenario that John Lott has often predicted. If a security officer is known, a person planning a mass killing will determine a way to take them out with a surprise attack, find a way to bypass them, or avoid them. Second, there was some time from the initial shooting until police mounted an armed response. The police response was very quick. Additional officers arrived at the scene, formed up, broke out a large window, and went in. But it took some time. It appears about six minutes passed from the initial shots until the police entered the Pulse club. During that period, the murderer was shooting and killing people inside the club. The shooting continued as the police entered. Once in the club, the officers could not locate the murderer. They were uncertain how many there might be. They continued to hear shots, and determined that the shooter was in the bathroom area. They did not shoot at the murderer. It does not appear that he fired at them; and it does not seem that they "drove him into the bathroom area". Then they were ordered to wait for the SWAT team. It took about 15-20 minutes to get there. We do not know if more shots were fired during that period. 4:21am - Police rip out an air conditioning unit, creating a hole through which some people escape. 4:29am - Rescued victims tell police the shooter said he was going to put four vests with bombs on hostages within 15 minutes. 5.02am - Three hours after the first shooting began, a SWAT team use armored vehicle and explosives to breach the bathroom wall. SWAT officers manage to free 30 hostages who dashed to safety. 5:15am - The shooter is shot at and is confirmed as being 'down'. 8:00am - Officials with the FBI deem the incident to be 'domestic terrorism'. ORLANDO — After an initial burst of fire between Omar Mateen and a security guard at the Pulse nightclub, a group of five or six police officers arrived on the scene within minutes, broke through a large glass window and entered the club as the killing of 49 people was underway inside, according to a Belle Isle, Fla., police officer who was among the first responders. This is worth noting in discussing the massacre. Those opposed to armed self defense have claimed that security confronted the shooter inside the club, but it made no difference, as they were unable to stop him. What seems likely, with Cornwell's report, is that no armed person confronted the shooter in the club until the Swat Team broke in through the wall in the back. The shooter was ready to engage the security at the entrance of the club, and was able to shoot his way in. It would be several minutes later that armed police entered the Pulse. If any of the patrons inside the club had been armed, there appear to be many times when the shooter could have been engaged and the death toll reduced. All of the details and timing will eventually be made public. The time of every gun shot is likely to be analysed. The multiple communications, 911 calls and police response insure that a record of the situation can be put together, but it will take time to decipher it. Numerous survivors should be interviewed and their stories added to the mix. In order to fight in these sort of incidents, it is important to understand how they happen in reality. Six minutes is a long time for a person with a defensive pistol to draw it, identify the threat, and engage. JONESBORO, Ark. (AP) - A jury says a 35-year-old Fayetteville man acted in self-defense when he killed a Jonesboro man outside of a nightclub in 2013. The Jonesboro Sun reports that a Craighead County jury deliberated for three hours before finding Timothy Joe Fields innocent Friday in the shooting death of 22-year-old Xavier White outside of Club En'Vision. Apple said a woman was in the backyard playing with the homeowner’s dog, when she heard a hissing and a growl. The bobcat attacked her, biting her several times. The dog then fought back, but the bobcat ran into the garage where the woman's husband was. Apple said the bobcat then bit the husband a few times before the homeowner pinned it down, shot and killed it. The owner of the dog that was shot had previously been issued tickets for her dogs. Kenneth Holley Junior, 58, was charged with aggravated cruelty to animals. Holley claims he had no other choice but to shoot the animal after it charged at him. "I didn't want to shoot the dog. This one here was very aggressive. He crashed through the gate onto my property. There was nothing else I could do," said Holley. "I saved my life, I don't care what people think. I saved my life." NORTH HOOSICK -- A homeowner reportedly shot and injured a man trying to break into a Hoosick home early Saturday morning. The Rensselaer County Sheriff's Office said a homeowner confronted a person trying to break in at around 4:30 a.m., wielding a shotgun and warning the suspect off. When the person continued trying to break in, officials said, the homeowner fired a shot through the front door of the house. It happened on Route 22, not far from the North Hoosick Fire Department. The man’s 24-year-old girlfriend and their two children were in his vehicle, police said. No one was struck by the gunfire. The man told police he returned fire with his handgun because he feared for his safety, Hoyda said. 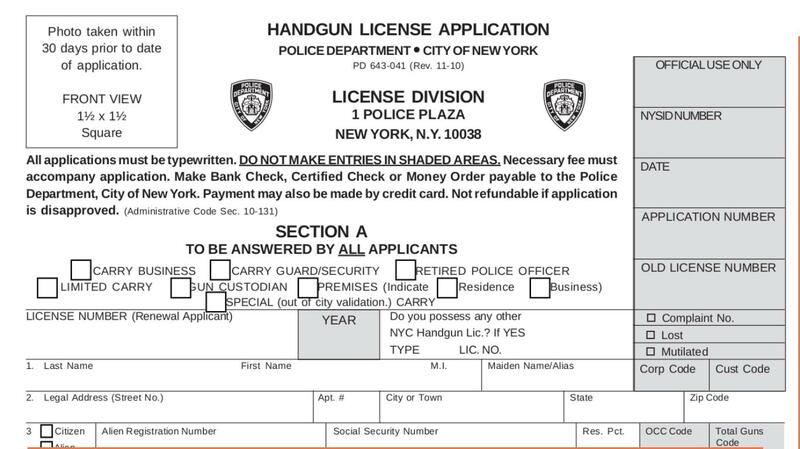 The New York investigation caught Alex "Shaya" Lichtenstein, a volunteer safety patrol member in his Orthodox Jewish neighborhood, on tape bragging that he had obtained at least 150 licenses for people to carry guns by paying up to $6,000 in bribes for each weapon. The bribes were covered by fees of $10,000 or more paid by clients who in turn saw their applications to carry a handgun approved in two months or less - compared to as long as a year in normal circumstances - while other clients saw their criminal histories ignored. AP has long approved of keeping the common folk disarmed, so it is no surprise that they find the scandal that some people were able to obtain gun permits by paying $10,000 dollars to a "fixer". The real scandal is that no one should have to pay thousands of dollars to exercise a fundamental constitutional right. The New York gun scandal has its foundation in the Sullivan Act, a product of the corrupt gangster "Big Tim Sullivan". "Big Tim" introduced the act to prevent his enforcers from being shot by the people they were extorting money from. New York politicos have their heavily armed guards. They have no trouble obtaining permits if they desire them. But they want to be sure that the people who pay their salaries and who are victims of their corruption, are not armed. I do not expect New York City to correct the inherent corruption in the Sullivan Act. I do not expect NYC to reform how police bureaucrats use petty administrative obstacles to prevent nearly everyone in the city from exercising one of the Constitution's most fundamental rights. New York has specialized in importing new immigrants and teaching them that corruption in the city is a way of life that cannot be fought. It is not hard to do. Most of them come from places with even more corruption and less freedom than New York City. The percentage of foreign born residents in New York City at the 2010 census was 37%. New York City residents quickly learn that the Second Amendment does not apply in New York City. 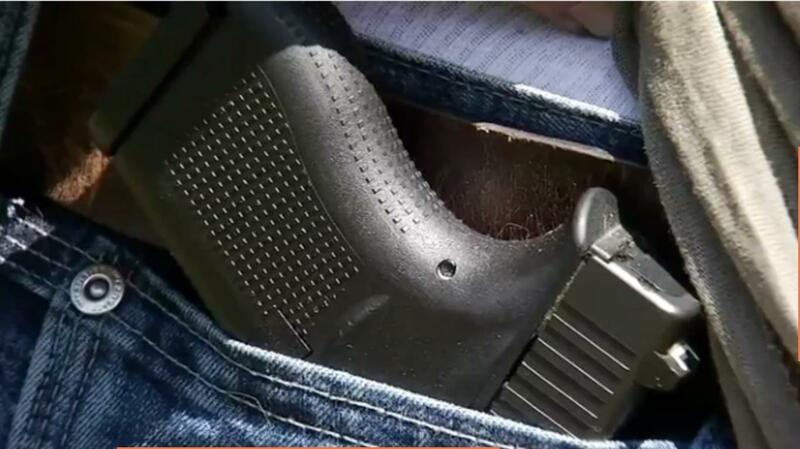 In most of the United States, carrying a concealed weapon requires no permit or a permit that is easily obtained. It may take a by day's training and a fee that costs less than a day's minimum wage. Those places suffer no more or less crime than New York. People who take the trouble to obtain a permit are exceptionally peaceful and responsible. Those with violent histories are already prohibited from possessing firearms by national law, with local variations across the nation. It is unlikely that New York City residents will be able to exercise their Second Amendment rights anytime soon. The history of corruption is too strong. But it will happen eventually. The rest of the country, accustomed to more freedom, will not put up with being treated as a lesser citizen when they visit NYC. Some fans of big government have contended that corruption is necessary for big cities to "work". It is a nonsensical argument. There are a number of cities around the world that are known for fair business practices and a lack of corruption. Consider London, Geneva, Singapore, Copenhagen. All are run effectively without significant corruption. Big cities are known for corruption. They do not have to be corrupt. Digital recordings make police and official corruption harder to conceal. Technology and time are on the side of the Second Amendment. Early reports, as they often are, turned out to be wrong. The MP, Mrs. Cox, did not intervene in a scuffle between two men. Her assailant did shout "Britain First". He said that the attack was political. He appears to be deranged, as the attack was used (as would be expected by a sane person) to discredit the "Leave" vot on BREXIT. The leave vote prevailed in spite of his actions. At the scene, the attacker carried on stabbing Mrs Cox, causing her to fall to the ground. He was then seen taking a gun from his black bag and shooting her three times. Witnesses said Mair had shouted, “Britain first, keep Britain independent, Britain always comes first, this is for Britain”. Mrs Cox was pronounced dead at 1.48pm. A post-mortem recorded that she died from multiple stab and gunshot wounds. Yesterday it emerged that two unarmed police officers found the suspect in a nearby cul-de-sac. Witnesses said the cops shouted at him to drop the bag and he then stood still with his arms outstretched. He was heard to say, “It’s me,” as he as the officers approached and handcuffed him. Mair was also said to have told cops he was a “political activist” after his arrest. He was carrying ammunition, a modified .22 rifle with sawn-off barrel and a knife. The authors of the JAMA study had obvious conflicts, Wheeler said, with one being a member of the Coalition for Gun Control (Australia) and "Second author Philip Alpers is the founding director of the gun ban organization GunPolicy.org and is a delegate to the U.N.'s project to ban private gun ownership worldwide, the so-called Programme of Action. Mr. Alpers, although he holds the title of Adjunct Associate Professor at University of Sydney School of Public Health, apparently has no college degree and no evident qualifications other than being a premier gun prohibition activist. These are insurmountable shortcomings for authors of a supposedly peer reviewed scientific article in a journal with the reputation of JAMA." He was a key member of the Coalition for Gun Control which won the 1996 Australian Human Rights and Equal Opportunity Commission's Community Human Rights award for its advocacy for gun law reform after the Port Arthur massacre in 1996. A co-author of the paper, Associate Professor Philip Alpers, who is also the founding director of GunPolicy.org, said it was “amazing” that the reforms were still having a positive effect 20 years after they were first introduced. “The University cannot disclose private and confidential information of that nature to third parties such as yourself. As all your correspondence is being copied to Associate Professor Alpers for his information, I suggest you address any further questions to him directly”. Good idea, we thought. After being advised by Alpers that we should “feel free to ask (him) anything we couldn’t find elsewhere”, he apparently had a change of heart. “As you’ve already been told, universities in common with other employers do not permit disclosure of reference-related information to third parties”. So there you have it. In our day, Professors were a little different. Their many and various academic degrees, the universities that conferred these titles upon them, and the dates were all a matter of public record for every department. Based on long-time AMA-HOD policy, the letter also calls for renewing and strengthening the assault weapons ban, including banning high-capacity magazines. AMA supports S. 150, the “Assault Weapons Ban of 2013,” which was introduced by Senator Dianne Feinstein (D-CA). ”In 1992, the AMA’s Council on Scientific Affairs promulgated a report and position paper on “Assault Weapons” (guns with a military appearance), and declared them to be a public health hazard in the United States. It recommended legislation to restrict the sale and private ownership of such firearms. A major difficulty in any research is that people tend to find what they want to find. One of the ways it becomes a problem is selection bias. It is clear that there is little to no statistical support for the claim that a decrease in crime or suicides was due to the extremely strict Australian gun laws put in place in 1997. Selection bias is a problem for all researchers. But people should be aware of studies done by advocates and published by an organization that promotes the same advocacy. This does not mean that Chapman and or Alpers consciously deceive or publish false information. It means that they are human, and more likely to see and report on that which supports their opinions. As a "control" on mass killings, New Zealand did not implement the strict gun control laws of Australia. They eliminated much of their gun registry in favor of licensing of individual gun owners. Yet over the period of the study, New Zealand, like Australia, has not had a mass killing by gunfire. Link to Paper (PDF). Mass killings are rare events in both Australia and New Zealand. The number of gun owners and guns owned in Australia have returned to pre-1997 levels, but the homicide and suicide rates have not. Larson told Tallman to stop and Tallman shoved him, troopers said at the time. Tallman later knocked Larson to the ground, and Larson followed him into some woods, where Tallman knocked him down again, they said. When Larson started calling troopers, Tallman hit him. That's when Larson "removed a .38 caliber handgun from his (pocket) and advised Tallman he was armed and told him to stop," according to a trooper's report. Tallman charged and Larson shot him in the leg. The victim told officers that the same man who had robbed him earlier in the month, Kyndrick Hancock, had just came into his home with a gun and demanded money. When the victim told Hancock he didn't have any money, police say Hancock fired a shot at him. Police say the victim shot back and Hancock took off in a car. We're told a car matching the description was stopped at Washington and Kentucky. Police say Hancock was driving. When I go to the local WalMart in Yuma (there are three), I check to see if there is any .22 ammunition. At some point, increased production and falling demand should cross, allowing for more .22 on the shelves. At the WalMart on Frontage road, toward the Foothills, I was surprised to see .22 ammunition. It was the first time in three years. There were 2,300 rounds of CCI Mini-Mags and 1,000 rounds of CCI Standard Velocity. The Mini-Mags were in plastic 100 round boxes at $7.47 a box. The Standard Velocity were in paper, 50 round boxes at $3.47 a box. A perky, pretty clerk, Yittzel, was happy to answer my questions. She was a joy to deal with, and did not have any problem with me taking pictures. She said that they seldom saw .22 ammunition, perhaps once a month. She thought it might be coming in a little more frequently lately, but it was still uncommon. She was surprised when she came in and found .22 ammunition on the shelves that morning. She doubted if it would last more than a couple of days. A customer came up to the counter and bought 300 rounds of CCI mini-mags, the maximum allowed. He wasn't interested in the Standard Velocity. He asked when Yittzel went off shift, or if he could come back in 15 minutes and buy 300 more. She told him that three boxes was the limit. I expect he came back later, when someone else was at the counter. I asked Yittzel about ammunition availability and the effect of politics. She agreed the ammunition bubble is driven by people's fear of potential legislation during the Obama administration. Resellers who buy ammunition from WalMart to sell at gun shows, or over the Internet, help to keep the bubble inflated. She said when she came to work after the Orlando shooting, most of the ammunition shelves were bare. .22 ammunition manufacturers have increased production in an attempt to balance long term supply with demand. At the Shot Show in January of this year, Aquila said that they were increasing production about 30%. Industry sources assured me that CCI/Federal were increasing their production by 20%. Those increases should be coming on line about now. The machines to manufacture .22 ammunition are expensive. Manufacturers are hesitant to invest in expensive machinery, only to have it sit idle after a bubble of demand has burst. After three years, manufactures have decided there is a long term component to the increase in demand. Every time it appears that production has started to meet demand, the Obama administration pushes another infringement on the Second Amendment, and demand spikes. The House Democrats throwing a tantrum on the House floor, and demanding that American civil rights be violated, did not help. We may have to wait until there is a Republican administration for .22 ammunition to become plentiful again. The Democrat nominee, Hillary, is pushing harder for more Second Amendment infringements than any other nominee in history. While I was visiting another member of the gun culture, I was shown a new acquisition, a Springfield XD in .45 caliber. I was struck by the the warning label on the box "NOT LEGAL IN CALIFORNIA" and W/HIGH CAPACITY MAGAZINE. I object to the term "High Capacity Magazine". The magazines are not high capacity, they are standard capacity. Magazines of ten rounds or less are reduced capacity. The idea that a Constitutionally protected item could be forbidden by state law reminded me of how topsy turvy the interpretation of the commerce clause of the Constitution has become. When the American colonies first won independence from England, the document governing them was the Articles of Confederation. The Articles had demonstrated that a central government was necessary for defense of the country, and to maintain order among the states. Some states had erected trade barriers against their neighbors. The Commerce clause of the Constitution fixed that defect. For most of the nations history until the late 1800's, the commerce clause was used to prevent the states from interfering in interstate trade that crossed state lines. The power of the Federal government to regulate trade between states has morphed into the ability to regulate all aspects of trade. The Supreme Court has ruled that there is virtually nothing the Federal government cannot do in its regulation of trade. The power to regulate has been used to prevent State's interference in trade, and it has been used to enhance their interference in trade. The 1968 gun control act was specifically designed to enhance the power of the states to prevent sales of guns across state lines, at least to people who are not licensed by the federal government. The Supreme Court is currently in a deadlock over whether states may restrict Second Amendment rights to certain rifles and pistols; and whether they can restrict the magazine capacity of those firearms. The Supreme Court has not been willing to consider those arguments. That leaves legislative solutions. It is unlikely that Second Amendment supporters will be able to obtain legislative majorities in California, New York, or Connecticut in the near future. But Second Amendment supporters already have legislative majorities in the U.S. Congress. There has been majority support for national reciprocity of carry permits for a number of years. Republican nominee Donald Trump has made support of a national reciprocity law part of his legislative platform. Part of that law should be the requirement that people who are carrying in states other than there own, may carry any legal firearms from their state of residence. Just because your car does not meet the California codes for emissions in California, does not mean that you may not drive there. This would be an easier increment for the Congress to swallow than to simply strike down the burdens on the Second Amendment passed by those state legislatures. The idea that a person is subject to a felony conviction for crossing a state line with an otherwise legal standard capacity magazine in her personal defensive firearm is absurd. Because I carry a Glock with a standard capacity magazine, and live on the California border, I am aware of the dangerous legal trap these laws have created. Miss one exit on the interstate, and you have committed a felony. The law would be constitutional under the Second Amendment, the commerce clause, and the "full faith and credit" clause of the Constitution. States should not be allowed to undermine the Second Amendment for citizens visiting their state, who have no vote in their legislative process. On June 22nd , 2016 at about 1900 hours officers responded to the area of the 300 block of 1st Avenue in Rio Dell for a report of a subject who had been shot. The gunshot victim was located and medical assistance provided for a non-life-threatening gunshot wound to the subjects leg. The subject was transported via ambulance to Redwood Memorial Hospital. A Southwest Portland homeowner shot a man who was trying to break into his home through a backyard window Wednesday afternoon, an official said. Responders found the intruder completely naked in a water fountain in the home's backyard, said Capt. Steve Alexander, a Multnomah County Sheriff's Office spokesman. The intruder was taken to a hospital for treatment of a gunshot wound that didn't appear to threaten his life, Alexander said. DULUTH, GA. - A husband is dead after defending himself and his wife from an armed robber, according to police. The deadly shootout happened outside the Time Internet Café on Steve Reynolds Boulevard near Gwinnett Place Mall just before midnight. The owners of the café were locking up when police say they were approached by a 22-year-old Diante Doby of Stone Mountain. He was armed with a pistol and wearing a white mask and dark hoodie, according to police. NEW ORLEANS —A would-be robber fled after the man he was attempting to rob showed he was armed, New Orleans police said. KANSAS CITY, Kan. -- An auto shop owner held a thief at gunpoint until police could arrive. He says the man stole a car and tried to sell off the seats. Those high horsepower, turbocharged sports cars generally roll into Modified by KC for a tune-up. Saturday, a man came to the shop with a red Mini Cooper hoping to sell the car seats for $500. “He didn’t fit the build for a Mini owner,” said co-owner Ryan Charlton. He has recognized the car through posts on social media. He figured out that the man stole the Mini and is trying to sell parts off the car. Charlton played along. First, he locked up the shop. On a segment of ABC News, a lawyer for the disputed heirs of a mystery man claim to want five million dollars of his estate destroyed, to make a political statement. Jeffrey Lash legally accumulated 1,500 guns and six and a half tons of ammunition, valued at more than 5 million dollars. He likely got most of his money from the women in his life, including his fiancee of 17 years. His estranged cousins from Los Angeles wish to have that part of the estate destroyed to make a political statement. Family members set to inherit a stockpile of guns and ammunition, worth millions of dollars, plan to destroy the weapons "to send a message," their attorney Daniel Brookman told ABC News today. "They want these instruments of death to be destroyed," Brookman said. "They don’t want these weapons out on the street." According to Brookman, Lash's stockpile was worth an estimated $5 million. A year after an autopsy said Lash died at 60 years old from natural causes, Los Angeles police said he legally purchased the firearms. Nebron's lawyer claims now they were hers to sell. "They can be sold through the Department of Justice and may be sold to police departments, but there is no point in destroying them," Nebron's lawyer Harland Braun said. The story reminds me of Solomon's famous decision involving the two prostitutes who both claimed one baby. He found the true mother by saying that he would devide the infant in two and give a half to each. 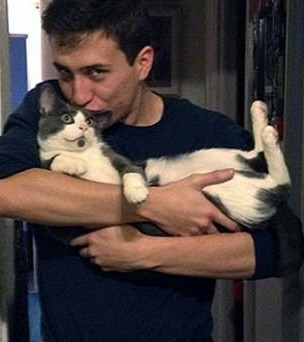 The mother said no, and Soloman used her affection to determine that she was the true mother. All of the firearms were legally purchased. Destroying them does nothing but enrich arms manufacturers. If they are destroyed, more will be manufactured, instead of satisfying that demand with firearms that already exist. Could the cousins and/or their lawyer be hoping to cash in on the current politically correct furor over mass shootings? The lawyer stated that the mass shootings were important for their decision. Might they hope that a politically correct judge will be more sympathetic to their politically correct views? Who can know the human heart. I am no Solomon. According to reports, the victim retreated to her upstairs bedroom, locked the bedroom door, called 911, and armed herself with a .22 caliber handgun. She then hid in her bedroom closet. Etherington followed the victim upstairs and made entry to the bedroom. Once inside, he removed his shorts, which he had defecated in, and made entry into the closet. Deputies stated that the victim fired one shot and struck the suspect in his abdomen. According to a press release, deputies arrived and short time later and forced entry to the home. They found the naked and bleeding suspect hiding behind the bedroom door. The suspect, Omar Padi, who shot at Weldon, moved to Yemen. A 28-year-old man who shot two men while dressed as Santa Claus after an argument at a Detroit gas station on Dec. 21, 2014 has been acquitted of all charges against him. Marcus Weldon, who is licensed to carry a concealed firearm, says he claimed self defense when he took the stand in a week-long trial that ended with a jury issuing a not-guilty verdict Monday. Weldon opened fire on two men, striking one of the men, Omar Pady, then 29, in the abdomen, and his friend, Salah Rifai, in the arm. He claims he fired his gun in self defense, believing that Pady was going to shoot him. Police said a black male suspect entered a house with the owner inside. The owner confronted the suspect and shots were fired. The suspect left the home and was found near the house with a gunshot wound. "I came around the garbage box, and this guy saw me so he took off on the left side of the vehicle and stopped at the left side to get something out, and I went around the right side to keep the vehicle between me and him," the homeowner said. "And he came around with a gun, so I shot him, and the other guy came around the garage with something and I shot him. One collapsed at the front, and one collapsed at the rear of the vehicle." A Springfield man was charged with three felonies after police say he threatened two people with a gun Monday at the Springfield Golf and Country Club. Donald Weber, 56, was charged with unlawful use of a weapon and two counts of attempted felonious restraint after police say he threw handcuffs at two men, pointed a gun at them and tried to force them into an office. One of the victims ran to his truck and retrieved a gun. There was then a brief standoff between Weber and the victim in which they yelled at one another before both victims ran from the scene, according to the statement. WAYNESBORO - Shop owners have welcomed the actions of an Antietam Pharmacy employee who used his concealed firearm to shoot a robber. Eric Christie, owner of Christie’s House of Pipes and Cigars, said it was great to have someone stand up to protect their life and liberty and to defend their property. “I’m darn proud of them,” he said. 11 years ago in Scotland, in 2005, a drug addict murdered a 2 year old boy with an air rifle. Killing someone with the power limited air rifles in the UK is extremely rare. Anti-gun activists used this event to impose licensing of even the underpowered airguns allowed in the UK. The licensing will only apply in Scotland. In the rest of the UK, air rifles will continue to be available over the counter. An amnesty was scheduled to allow people to turn in airguns to be destroyed. No compensation was given. Over 12,000 were turned in to be destroyed. There is no reason to destroy the airguns except as a propaganda message that airguns are bad and should be turned in to the police. The airguns turned in are likely worth upwards of a million dollars. This will make it a criminal offence to have an air weapon without a licence or a permit. Anyone found guilty of the new offence could be fined or face up to two years in prison. The Scottish Government had pledged to introduce the scheme following the death of Glasgow toddler Andrew Morton, who was killed by an airgun in 2005. Mark Bonini was sentenced to life in prison after being found guilty of murdering the two-year-old, who died after being struck in the head by an air gun pellet. So far the force and the Scottish Government have hailed the scheme a success, with thousands of potentially deadly weapons now off the streets. The emotional posturing and opposition to anything remotely to do with guns, even airguns, is similar no matter what the power of the gun. We see the same lack of any rationality in legislation aimed at firearms in the United States. It is clear the animus is directed at the mere idea of a gun, and at anyone who engages in the shooting sports, or to use any kind of gun for any purpose. There are more fatal incidents with 5 gallon buckets in the UK than there are with air rifles. A report on 5 gallon bucket drownings in the UK 1982-1996 showed that they averaged about 1.2 per year. In 1998 a Journal of Clinical Pathology report claimed that there was about one death by airgun per year in the UK. Of the 5 cases examined, 2 were suicides. The report notes that air rifles do not have enough energy to penetrate adult skulls, unless they enter the eye socket or temple. Since 2005, I have found 3 more airgun fatalities in the UK. The latest 3 were all ruled accidents, one in 2007, one in 2009, and one in 2016. That is consistent with a 75% drop in fatallities for the last 11 years. Such numbers are so small as to be statistically insignificant. There are about 60,000 firearms licenses in Scotland. 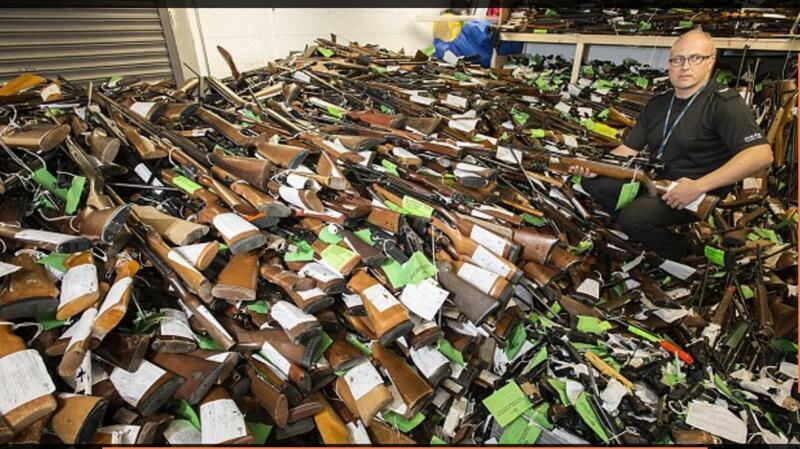 It is estimated that there are several hundred thousand airguns. Licenses will be "may issue". Good cause will be required. The cost alone will be prohibitive to many, at 72 pounds ($103) initially, and 48 pounds ($68) for renewal every five years. The licensing scheme seems designed to reduce the number of people who have airguns. Airguns in the UK are limited to 12 foot pounds or less. Any airgun with a higher energy level requires a firearms license. As a comparison, a .22 short propels a 29 grain projectile at 1050 feet per second, producing 71 foot pounds of energy, approximately six times as much as the most powerful unregulated UK airgun. This is the continuation of the slippery slope that started in the UK in India after the mutiny of 1837. The British rulers determined to disarm the Indian population. They did so by enacting a "may issue" permit system for firearms. After WWI, the system was imported to the home islands, because of fear of revolution. The slippery slope brought about the elimination of permits for the purpose of self defense, gradual tightening of requirements to obtain a permit, requiring a permit for shotguns, eliminating the possibility of a permit for handguns, pump action shotguns, and semi-automatic rifles. None of these actions had any measurable effect on the crime rate. Now Scotland is requiring the same permits for air guns as required for firearms. Airgun use is already regulated by 30 different laws. The slippery slope may be a considerable ways from the bottom. There have been serious proposals to ban knives that have a point. I understand that the long bow is still allowed, but carrying one in public may result in your arrest for carrying an "offensive" weapon.